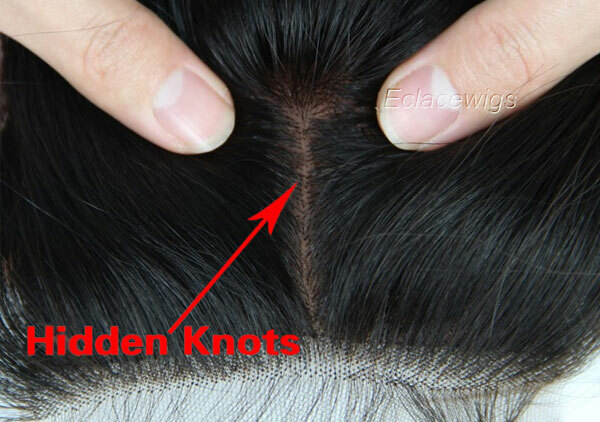 It means the knots are hidden under the inside lace( It has two pieces of lace), and completely invisible, giving the impression the hair is growing out of the scalp. It is the best method to hidden the knots at present. 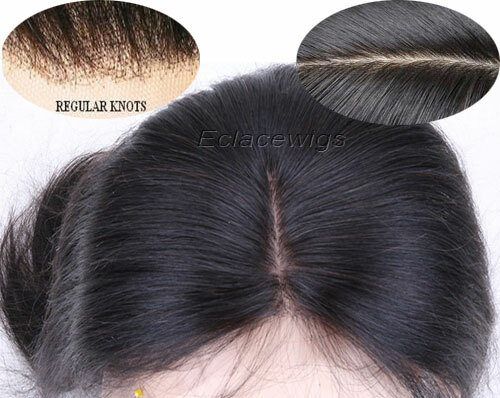 We currently use triple knots as a custom option for our lace wigs,hairpiece. Silk top is flesh colored silk material (usually 4x4, 5x5 and 6x6 in.) sewn onto the lace wig. Individual hair are then pulled through the material and hand-tied from underneath the wig cap. The result is the appearance of scalp with hair growing out of it. It adds a more natural looking to the wig,especially when parting the hair. 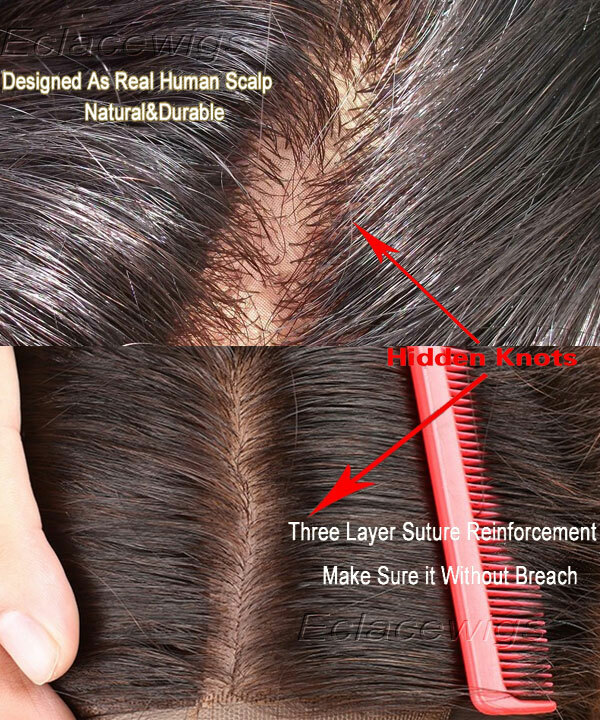 The knots are hidden under the silk base and are not visible, giving the illusion of hair growing directly from your scalp and unbelievably real. The silk base can be ordered in the colors light brown,medium brown and dark brown. Thicker hair density such as 140% and higher may cause the silk top base to be less detectable than hair density of 130% and under.